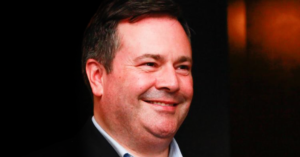 A former temporary foreign worker who came to Canada from India is going public with shocking allegations of “abuse” he says he suffered at the hands of a candidate for Jason Kenney’s United Conservative Party. In a sworn statement, Amandeep Panesar alleges Devinder Toor, the UCP candidate for Calgary-Falconridge, withheld his wages, pressured him into 7-day work weeks, kept multiple temporary foreign workers living in a dark basement and threatened him with deportation if he refused to cooperate. Panesar even says he shared his story with UCP officials last year, but they failed to take action based on his information. Panesar details allegations ranging from labour law violations to immigration fraud in a Statutory Declaration signed on January 22. Ashok Sareen, the Commissioner of Oaths who cosigned the letter, confirmed its authenticity to PressProgress. In his statement, Panesar says he came to Calgary from Punjab in 2008 through the Temporary Foreign Worker Program to work as an “Assistant Manager” at a chain of Calgary-area liquor stores owned by Toor. Instead, he says he arrived in Calgary to find a very different life than the one that was promised to him in his original contract. Shortly after his arrival, the UCP candidate led the temporary foreign worker into a “basement where some of his other employees lived” and told him “there was not a real position for Assistant Manager available in any of his stores,” Panesar’s sworn statement reads. “Assistant Manager was just a position to get approval for LMO” under Canada’s Temporary Foreign Worker rules, he says he was told. “I believe that Mr. Toor had successfully brought in many foreign workers and made a lot of money exploiting the Canadian immigration laws without providing any long-term employment to any of the foreign workers he sponsored,” Panesar’s statement concludes. Reached Monday night, Panesar suggested living conditions in the UCP candidate’s basement may not have been up to code either. Panesar said wages were withheld during training. By the end of his training, he says Toor asked him to give him his passport and work permit. Panesar refused, and that was the end of their working relationship. 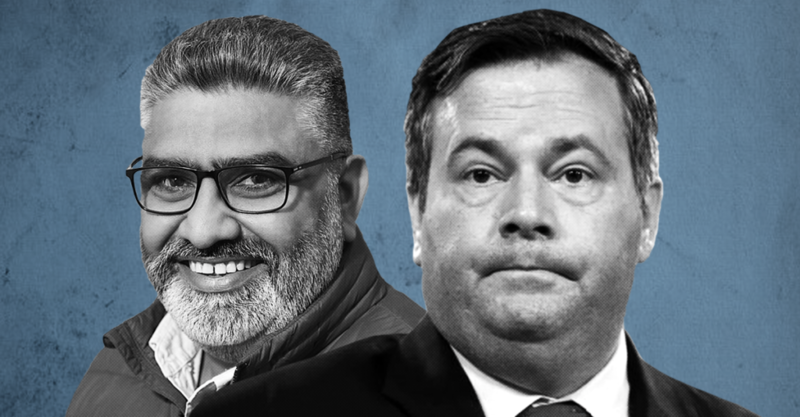 Panesar told PressProgress he made the decision to escalate his complaint through a sworn statement of his experience only after reaching out multiple times to UCP officials and receiving no follow-up. After sending an e-mail to UCP officials describing his allegations on November 8, he says a UCP staffer called him back and asked for more information, but never followed-up. He then sent another complaint November 22, but received no response from the party. “I know that his action relating to me and potentially others are inappropriate and possibly illegal and/or criminal in nature,” Panesar wrote. 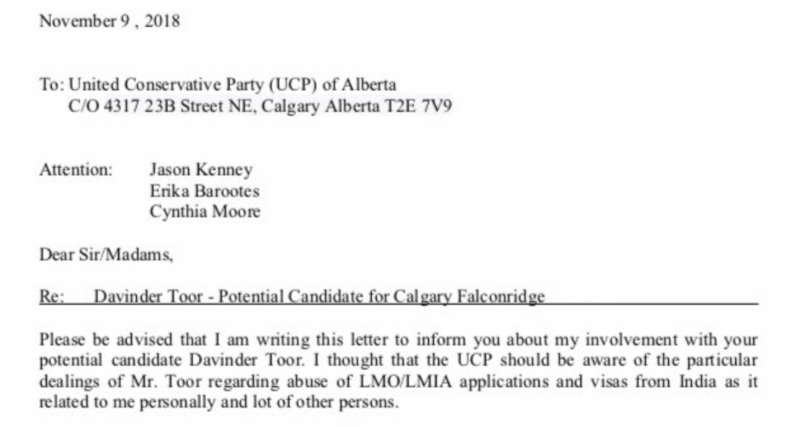 In a statement Monday, a UCP spokesperson said the party “investigated this matter and could find nothing to independently verify the allegations,” adding Toor has never been “sanctioned” in connection to the Temporary Foreign Worker Program. During his time as Citizenship and Immigration Minister, Jason Kenney’s changes to Temporary Foreign Worker Program rules were widely blamed for causing widespread exploitation and abuse of temporary foreign workers. 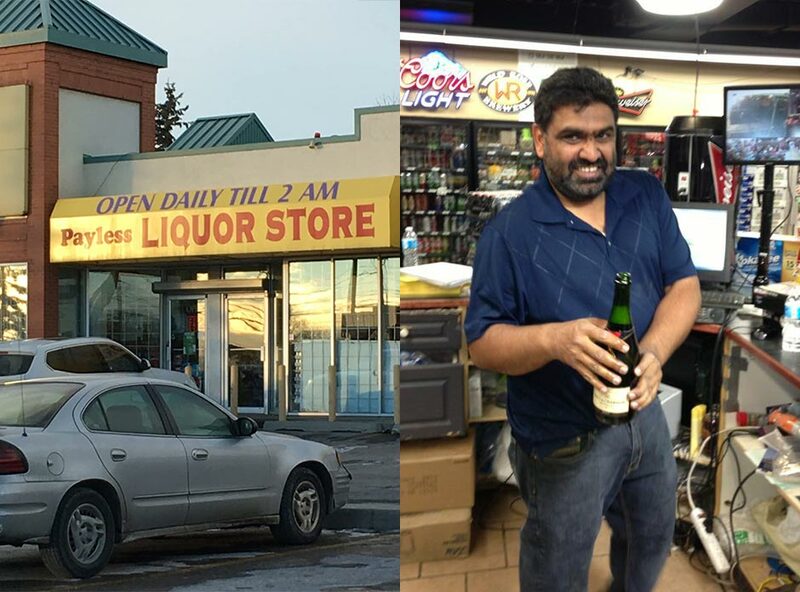 Panesar, who now enjoys permanent residency status in Canada, says his life has improved since his days at Toor’s liquor store. He says he currently works for a trucking company where conditions are more supportive of workers. “If he is selected as a lawmaker, and he abused the law set up by government of Alberta, and of Canada, then that’s not right,” Panesar said. Toor did not respond to multiple requests for comment from PressProgress.